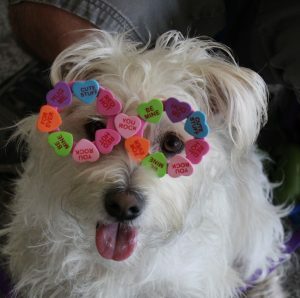 Celebrate the “Day of Love” with your favorite furry companion(s). Join us, Common Place Brewery, and other dog-loving local partners on Sunday, February 17th, from 3pm-5pm, for a carnival-themed party like no other to raise money for local rescue, Gone to the Dogs Rescue, Inc. The basic ticket fee of $15/person (dogs are free) will cover your tickets for beverages (including donated craft beer!) and carnival activities, with the option to purchase more tickets for participation in other activities. From custom PAW-casso paintings created by your dog to decorating your own doggy donuts to bobbing for hotdogs, this will be an event your dog (and you!) won’t want to miss. Family-friendly and tons of fun for both the two- and four-legged loves of your life. This will be our biggest fund-raising party of the year and we couldn’t do it without you and our friends and partners who, like you and like us, love dogs and believe in animal rescue. Common Place Brewery has kindly donated delicious craft beer. Animal Communicator Nancy Gardner and Pet Photographer Onnie Hull have generously donated their time. Down Dog Lodge has donated a fantastic daycare package for our auction. Each day, others join us in in our efforts to make this event not only super fun for everyone, but als0 to help us in our goal of raising money for Gone to the Dogs Rescue. All dogs in attendance must be fully vaccinated, on a 4 or 6ft fixed leash (no retractables, please!) and at least 4 months old. Attending dogs should be fully comfortable with large groups of people and other dogs. For liability reasons and for the safety and security of all guests and animals, we must have basic contact information for each household attending. To RSVP, each household must have an existing profile with us or create one online or over the phone. Read more posts about "Dog Events"